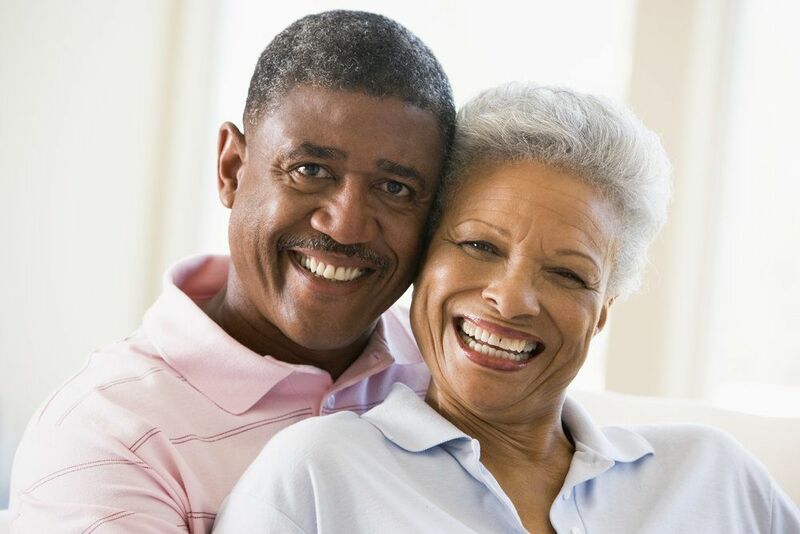 As the name suggests, a full mouth reconstruction with your Atlanta dentist involves any combination of restorative dentistry procedures performed as a comprehensive treatment plan to rebuild your smile. Severe tooth decay, aggressive gum disease, accidental trauma, and a number of other issues can significantly compromise the functionality of your smile. After thoroughly examining your mouth to determine the extent of dental damage, one of our dentists will determine the most effective combination of treatments to reconstruct your smile. From start to finish, your level of comfort is one of our top priorities. Aside from local anesthesia to numb the area of your mouth being treated, we also offer a choice of dental sedation methods, including nitrous oxide and oral conscious sedation. Dental sedation eases your apprehension and helps you relax throughout the course of your treatment. The level of sedation you receive depends on your level of anxiety, medical history, current health status, and other factors, which will be discussed on an individual basis. We also provide personal headphones in the dental chair to further promote comfort and tranquility, and feature comfortable massage chairs and televisions in every operating room. Our STA, or Single Tooth Anesthesia System®, features revolutionary technology that allows Drs. Ross, Dr. Kim and Shah to achieve more precise injections. The way in which the STA is inserted and the level of medication delivered are precisely measured and planned. Dental anesthesia shots are more comfortable for patients and the level of anesthesia they receive is precisely measured to their needs. A second technology, the DentalVibe®, administers shots via a vibrating instrument that creates a tickling sensation. These vibrations distract from the would-be pain from the injection, blocking the feeling of pain. This technology creates a pain-free shot and is an excellent option for patients wary about local anesthesia. Dr. Neal Shah of Feather Touch Dental Care in Atlanta, GA, describes what is involved in full mouth rehabilitation. This is a specialized type of treatment that aims to fully restore your smile after widespread decay or tooth loss. Dr. Shah and Dr. Donald Ross will combine treatments including dental implants, dental crowns, and more to help you achieve a functional, beautiful smile. An unhealthy smile can be visibly unpleasant, but restoration involves much more than simply addressing the aesthetics. Our porcelain dental crowns and dentures are specially fabricated in a dental lab to achieve a natural appearance and withstand the pressures of biting and chewing every day. Innovative diagnostic tools allow Drs. Ross and Shah to expertly measure your tooth and design a compatible restoration, which the lab creates according to their precise specifications. To rebuild a smile after tooth loss, Dr. Ross, Dr. Kim and Dr. Shah may recommend one or more dental implants, which are surgically inserted into the jawbone as support for restorations. These small titanium posts can help restore your smile whether you have lost one or all of your natural teeth. Our dentists refer the placement of dental implants to a trusted oral surgeon. Once a patient has healed following surgery, Dr. Ross and Dr. Shah can provide your custom restorations. The joints that connect the lower jaw to the skull and allow it to move are called temporomandibular joints, or TMJs. Patients who require a full mouth reconstruction often have TMJs that are damaged or strained due to bite imbalance, lost teeth, consistent teeth-grinding, and other issues. Known as TMJ disorder, or TMD, the discomfort associated with damaged jaw joints can range from severe headaches, popping jaw, and difficulty biting and chewing. Treatments such as orthodontics and custom restorations can restore balance to your bite, reducing strain on the TMJs. Even if you believe your smile is beyond repair, a full mouth reconstruction can rebuild your smile and your confidence through the right combination of procedures. To schedule a consultation, contact us today. Dr. Ross, Dr. Kim and Dr. Shah can help you reclaim outstanding oral health, comfort, and functionality.